Bloomberg reports today that Blackberry (NASDAQ:BBRY - News) has announced the launch of its brand-new BBM Money feature in conjunction with Indonesian bank Permata. BBM Money is a new payment gateway, initially focused on Indonesia as a testing ground, enabling people to transfer funds to their BBM contacts. Typically, Indonesian merchants use Blackberry devices, so this new service will likely be very popular in the country. I gave the BBM Money app a try. At the beginning, users need only register their name based on their national ID card, phone number, and a six digit passcode. After that, users can top up their BBM Money account by transferring up to IDR 1 million (US$ 103) to a Permata Bank account. At this point, the app can only be used to top-up phone credit. To be able to send and receive money via BBM Money, users need to upgrade the app first by going to a designated upgrade location and registering their national IDs. The upgrade locations include all Permata Bank branches. Money transfer to a Permata Bank account user is free, but there is a IDR 5,000 (52 cents) charge for transfers sent to users of other banks. Permata Bank’s head of electronic channels, Bianto Surodjo, stated his belief that BBM Money will have a few hundred thousand users within 12 months in Indonesia. At the moment, the app is available for Blackberry OS 5, 6, and 7, but not yet available for the newest Blackberry 10 devices. While Permata Bank is quite big, it is not yet as large as the other more prominent players like BCA or Mandiri. Blackberry will definitely be partnering with more local banks in the future. Until then, it’s likely that keen users of BBM Money will open Permata Bank accounts to avoid the IDR 5,000 (52 cents) transaction fee, while other people will opt to wait until there are more bank partners and continue to use more traditional payment methods for business, such as internet banking or cash on delivery. With the local merchants already using BBM to conduct a lot of communication and business dealings, BBM Money definitely has a good chance to be one of the biggest players in Indonesia’s e-payment gateway battleground. Will it emerge as the winner though? The answer might lie in the upcoming Blackberry Z10 launch next month to see if the handset can remain popular with Indonesians amidst stong competition from Android smartphones and the iPhone. 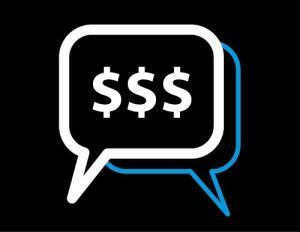 You can download the BBM Money app here. The post Blackberry Launches ‘BBM Money’ for Cash Transfers in Indonesia appeared first on Tech in Asia.